I was fortunate to spend two nights at the Pafuri Camp in the Makuleke Concession, Northern Kruger National Park. 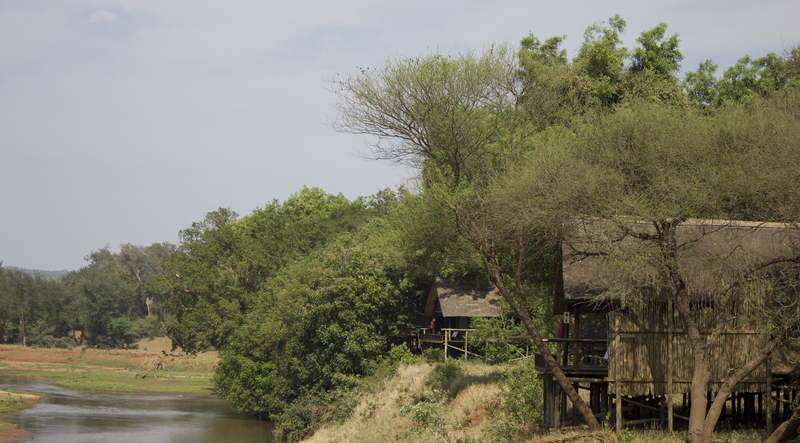 The location of the camp is very special, as it overlooks the Luvuvhu River. The camp is set higher up on the banks, offering spectacular views of the river with an abundance of wildlife frequenting the river. Birding is especially big in the area. 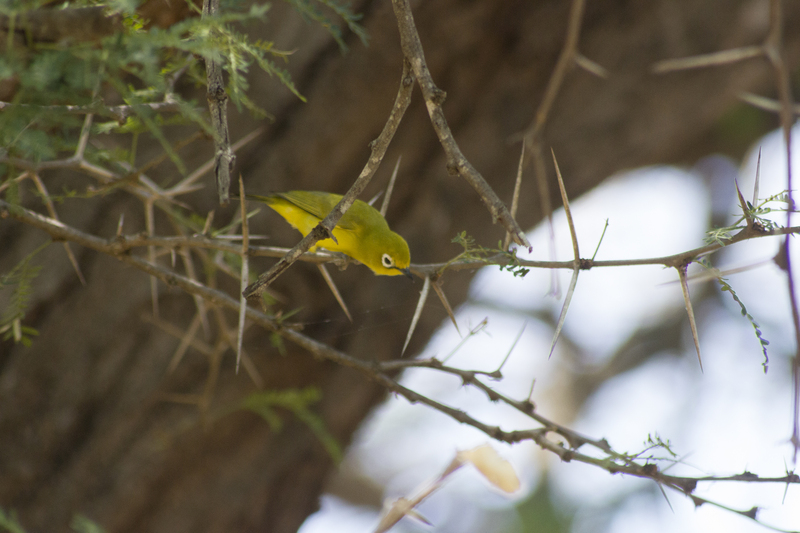 About 75% of the biodiversity is found in Pafuri and offers different scenery at almost every turn. The landscape is made up of low floodplains, mountains and gorges and includes a forest of Fever Trees. 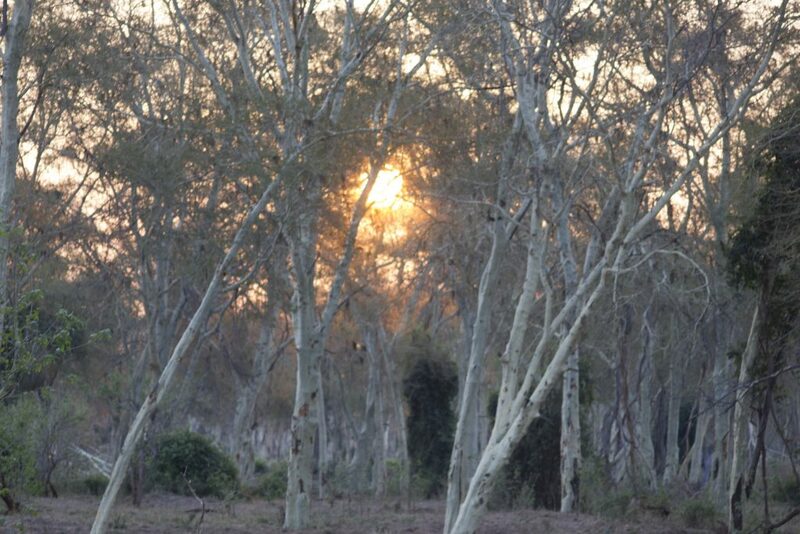 We stopped here for sundowners one evening, and watching the sun set between the trees was magical. When the sun had gone down, the eerie sounds and whispers from the forest came alive. This is a must experience! 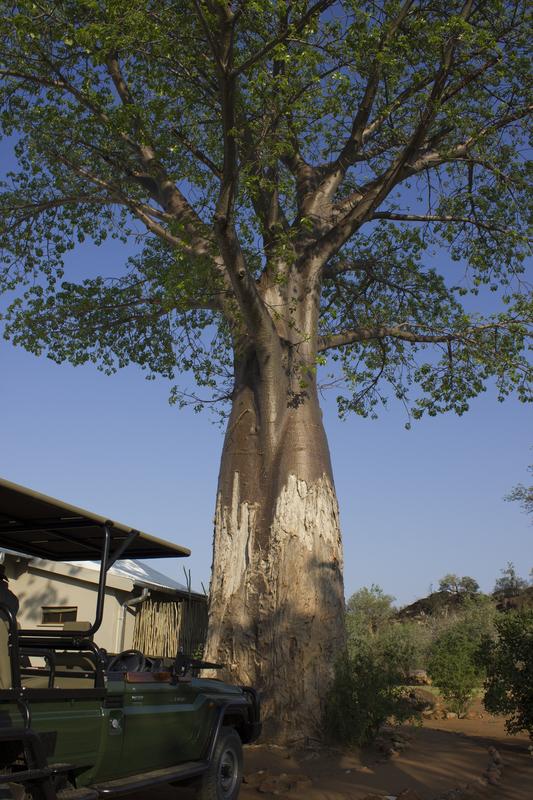 The baobabs are exceptional, they have some of the biggest I have ever seen. The concession is so much more than just the ‘Big 5’, although the focus is on large herds of buffalo and elephant depending on season, as well as the Pel’s Fishing Owl renowned to the area. The area is also rich in history and archaeology. 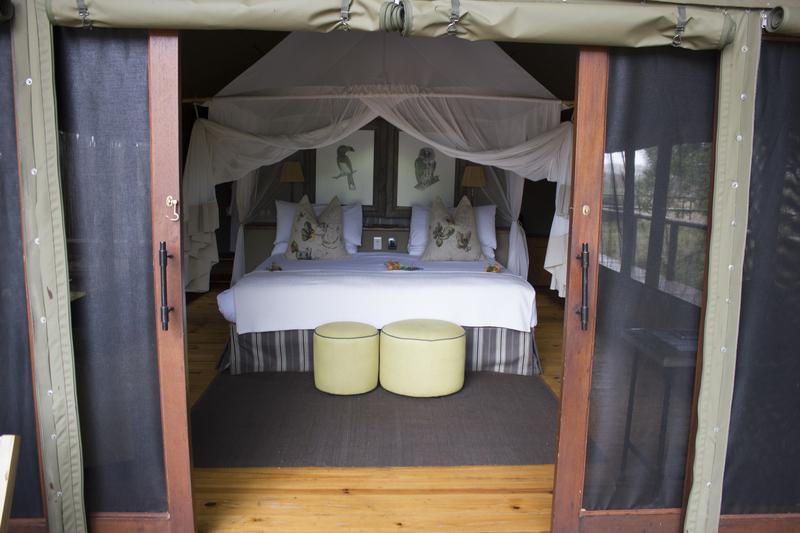 The Camp itself consists of en-suite Luxury tents (thatch/canvas). The communal areas are spacious and welcoming with comfy couches and oversized ottomans. 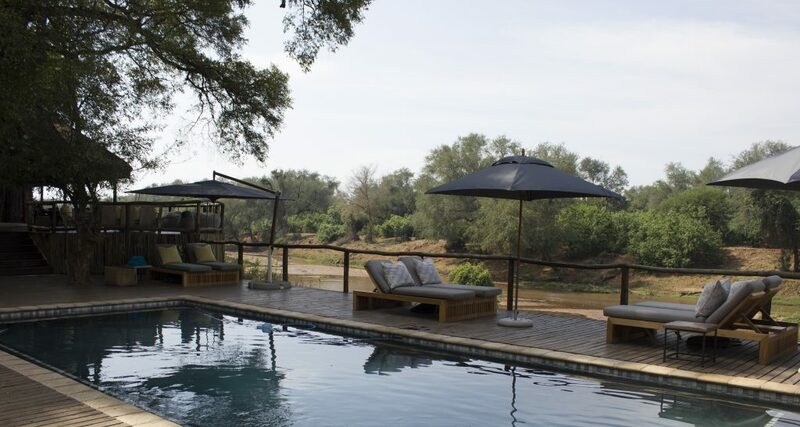 Alfresco dining, a vibey bush bar and sparkling pool all overlook the Luvuvhu River and offer the perfect space to meet and exchange stories with other guests and staff. Also within the portfolio are Pafuri Walking Trails – for the more adventurous. 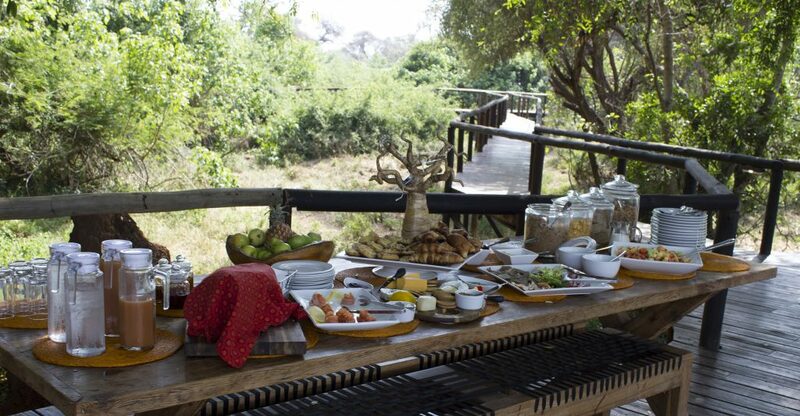 A seasonal bush camp, and Baobab Hill Bush House – a rustic Homestead, ideal for families or a group of friends.